YOGA is a perfect, practical system of self-culture. You can attain harmonious development of your mind, body and soul by the practice of Yoga. Yoga is an exact science. You can acquire absolute control over the whole nature by its practice. It helps the student to attain ethical perfection, perfect concentration of the mind and to unfold various psychic powers. It teaches applied psychology. It helps the practitioner to enter into conscious communion with the Lord through Samadhi, to separate himself from the three Gunas and to attain Kaivalya or independence eventually. Yoga is the method by which the finite self or the individual soul is united with the Infinite Self or the Supreme Soul. Yajnavalkya defines Yoga, "Samyoga yoga iti ukto jivatma-paramatmano iti—the conjunction of the individual soul and the supreme soul is called Yoga." Yoga is the discipline of the mind, senses and the physical body. Yoga helps in the co-ordination and control of the subtle forces within the body. Yoga brings in perfection, peace and everlasting happiness. 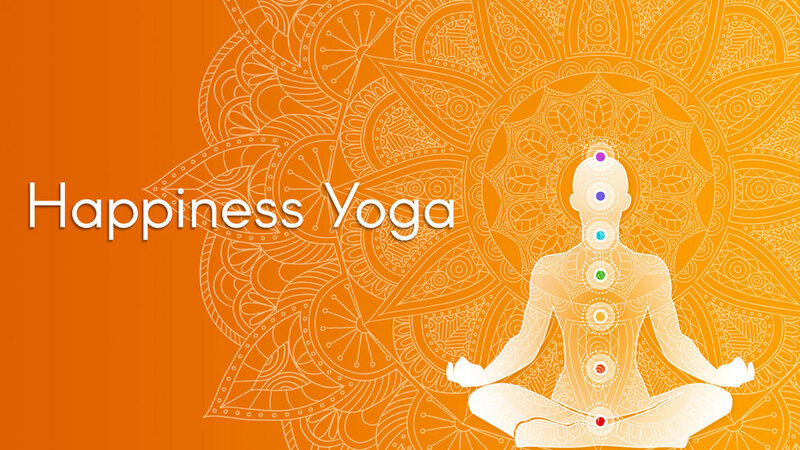 Yoga can help you in your business and in your daily life. You can have calmness of mind at all times by the practice of Yoga. You can have restful sleep. You can have increased energy, vigour, vitality, longevity and a high standard of health. You can turn out efficient, work within a short space of time. You can have success in every walk of life. Yoga will infuse in you new strength, confidence and self-reliance. Through Yoga you can have complete mastery over the mind, passions, emotions, impulses, temper and tongue. The body and mind will be ever at your beck and call. The aim of Yoga is to free man from the thralldom of matter and the fetters of Prakriti and make him realize his absolute independent nature or Kaivalya. Yoga prepares him for the beatific vision. Yoga deals in detail with the process of restraining the Vrittis or waves of the mind and attaining Nirvikalpa Samadhi or the state of super-consciousness in which the Samskaras or the seeds of rebirth are fried in toto. The Yogi attains perfection or Kaivalya (independence). Yoga advocates complete detachment from secular interests for the sake of practising uninterrupted meditation. It recommends meditation on the inner Light of the heart or anything that is pleasing to you. It prescribes that one should withdraw oneself from the ordinary affairs of life for the purpose of practising constant meditation. Yoga can also be practised at home by having a well-regulated life. Yoga is the turning away of the senses from the objective universe and the concentration of the mind within. Yoga is eternal life in the soul or spirit. Yoga transmutes a man into divinity. Yoga brings a message of hope to the forlorn, joy to the depressed, strength to the weak and knowledge to the ignorant. Yoga is the secret master-key to open the realms of bliss and deep abiding peace. Yoga aims at restraining the mind and its modifications. The practice of Yoga disentangles the Jiva from the phenomenal world of sense objects. The Jivatma becomes identical with Paramatma. This union with Paramatma is the goal of human existence. The western philosophers like Plato, Emerson, Schopenhauer, Spinoza, Max Muller, Paul Duessen and others have eulogised the study of the science of Yoga very highly. The practice of Yoga will help you to control the emotions and passions and will give you power to resist temptations and to remove the disturbing elements from the mind. It will enable you to keep a balanced mind always and will remove fatigue. It will confer on you serenity, calmness, tranquillity and quietude and wonderful concentration. It will enable you to hold communion with the Lord and thus attain the summum bonum of existence. You can develop many physical, mental and supernatural powers by means of Yogic discipline and restraint of mental modifications or waves in the Chitta. The physical body and the mind should be brought under control by Yogic exercises such as Yama, Niyama, Asana, Pranayama, Kriya Yoga, concentration and meditation. By these practices you will be free from restlessness of body and mind. You will secure high standard of vigour and vitality, prolonged youth and longevity and a steady and powerful mind. The path of Yoga is an inner path whose gate is your heart. You must have courage, perseverance, patience, endurance and real burning aspiration if you want to tread this path. A timid man is absolutely unfit for this path. An aspirant in the path of Yoga should be humble, simple, gentle, refined, tolerant, merciful and kind. He should seek Truth everywhere. He should show reverence to Sadhus, Sannyasins, Bhaktas, Mahatmas, and Sages and to the Srutis and the Scriptures. The essentials of moral life are straightforwardness, honesty, mercy, humility, respect for life or tender regard for every creature that breathes, absolute unselfishness, truthfulness, celibacy, non-covetousness, absence of vanity, hypocrisy and cosmic love. Lust for power, material greed, sensual excitement, selfishness, passion for wealth and lower appetites have drawn man from his true life in the Spirit into the materialistic life. He can again regain his lost divine glory if he practises in right earnest the principles of Yoga. Yoga transmutes animal nature into divine nature and raises him to the pinnacle of divine glory and splendour. Sadhana means any spiritual or Yogic practice adopted by the aspirant to purify, steady and control the mind and attain the Sadhya or that which is attained by Sadhana viz., Brahman or the Eternal, the goal of the Yogins.